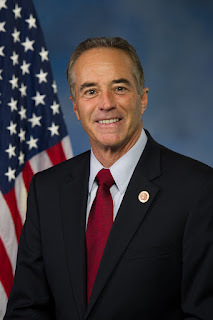 WILLIAMSVILLE, N.Y. -- Congressman Chris Collins (NY-27) today announced $84,202 in federal funding for the Olcott Fire Company. The grant was awarded through the Department of Homeland Security's (DHS) Assistance to Firefighters Grant (AFG) Program, which is designed to help first responders improve their capability to respond to fires and emergencies of all types. "Our communities are fortunate to have brave men and women who risk their lives in order to help save others," said Collins. "The Olcott Fire Company is very deserving of this grant to purchase new gear to make sure their firefighters are protected while on the job. This is an excellent use of funding and I thank the Olcott Fire Company for the selfless service they provide to their community." "Olcott Fire Company would like to extend our deepest gratitude to Congressman Collins for the AFG Grant and his continued support to the volunteer fire companies," said Olcott Fire Chief Stephen Miller. "The fire company will be utilizing the AFG award to obtain new turnout gear for all of our members."